Computer is a part of our life but Internet become mandatory part of computer. We are living in fast forward life, we are playing with data. It may be a kilobyte file to gigabyte file. Now ask yourself is this data are really valuable for your life? I know answer will be that some data are really important in your life. But you data is not totally safe in your computer or tab or mobile. If your computer HDD crash then you might lose you valuable information. In case your mobile stolen then you may also lose your data. Then how to make safe you data? You may say that burn the data in CD or DVD .But problem with this method is CD and DVD are sensitive and keep updating you data is hard with it. Best method of keeping your data safe is just upload your data in some file hosting site. But if your valuable data change day by day then you need to synchronize data at a time interval or when you will connect your computer with internet. This type of Synchronizer will automatically sync your data and keep it safe. And whenever you go you will get this data easily if you have internet connection. 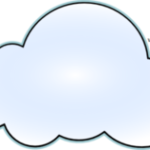 Cloud Tips : What is Cloud ? 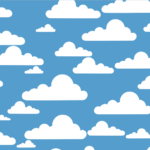 We all see cloud , Now think you are walking inside the cloud .Let the cloud is your data so if you are inside cloud then you can get your data easily anywhere in the cloud , let imagine by picking some cloud you can access your data. By a chance a small portion of cloud destroyed in that case you can still get your data from other portion of data. This technology is called cloud storage. Basically what really do the cloud storage provider is when you upload some data they keep the same data in different server. Where all server are connected. So one server need maintenance then other server will provide the data. And for this this type are storage system are fast than normal storage service. 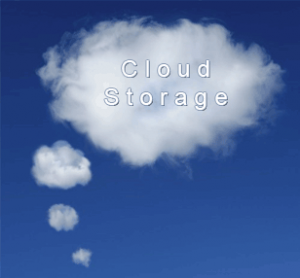 Choose any of this cloud file storage or synchronizer and keep you data safe and secure. I am a cyber security expert and blogger.I run my own blog site Cyber Key .Cyber Key is cyber tech blog about tips N trick , how to ethical hacking etc.